Yesterday we left Wisques via the nuns monastery, where Mother Abbess and a young English-speaking nun whose mother was English entertained us in lively fashion. 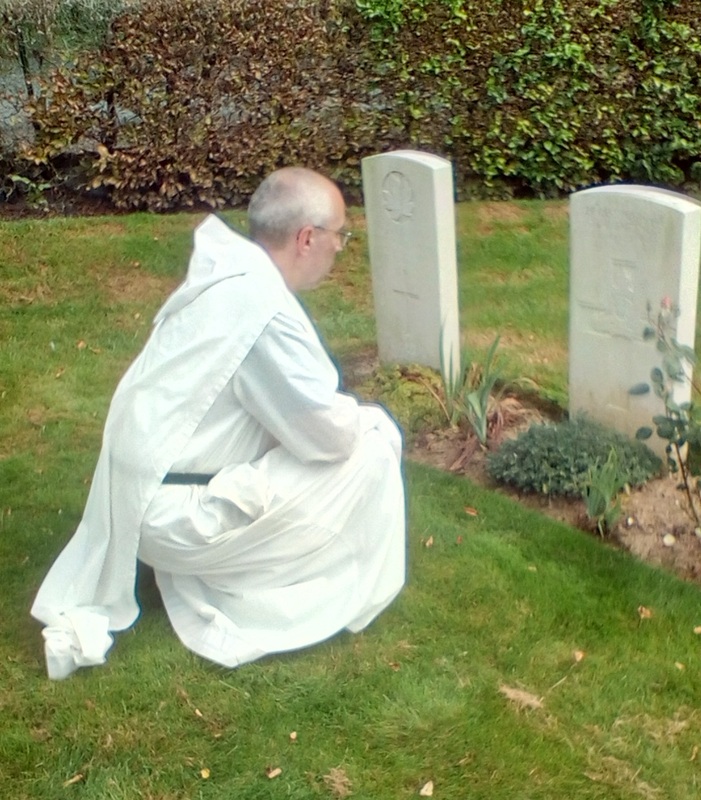 No-one was in the diocesan office at Arras, so we went in search of the grave of Br. Michael’s great-uncle, killed in 1917 near Vimy Ridge. First we visited the Canadian memorial centre and toured tunnels and trenches, led by young Canadian students, very well and sensitively done. A cross country trip led to the cemetery, where we easily found the grave, thanks to the very clear instructions we had been given. 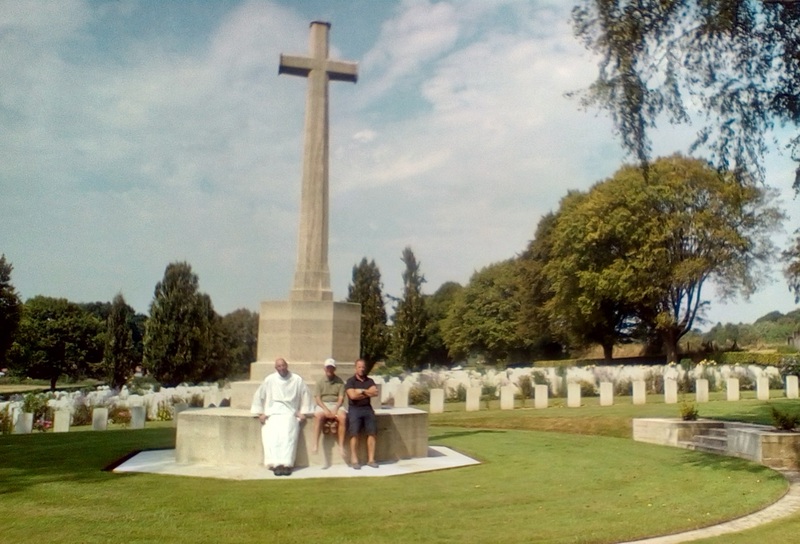 The cemetery was beautifully kept, a real credit to whoever does the work. Then on to Amiens. At some stage we took the wrong motorway junction, and had to retrace our steps. We were worried because the signs told us we had 102 km to go, but a nifty bit of map-reading by Marty saved 60, and we found the centre without too much bother. 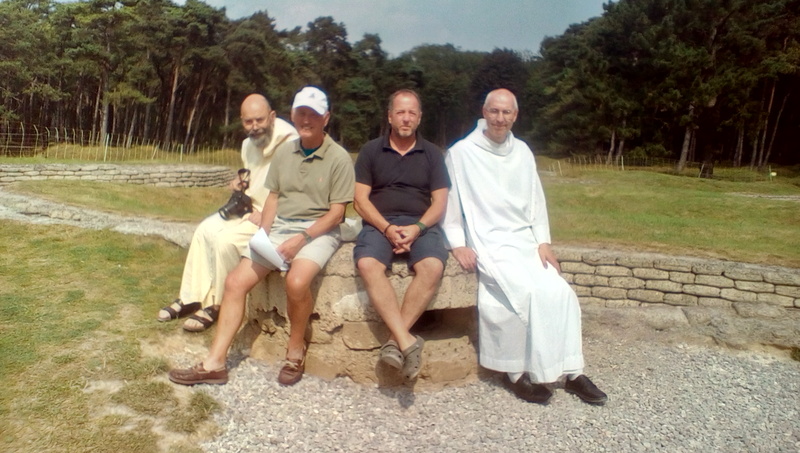 It is a beautiful former Visitandine monastery, bought by the diocese and turned into centre for retreat and administration, the Bishop and VG live here and five Sisters, the buildings have been done up, and the wooded grounds surround it. Having missed lunch, we went out for supper, they don’t do meals here. We sat out of doors in the warm evening, near the magnificent Cathedral, which we plan to see today.